Discover what it would be like to travel through the four seasons in one day, following a little girl called Isabelle and her dog, Pickle, as they take on the adventure of a lifetime. As a sign of the changing seasons, Isabelle carries a little apple tree with her, and we see it bud, blossom and lose its leaves. 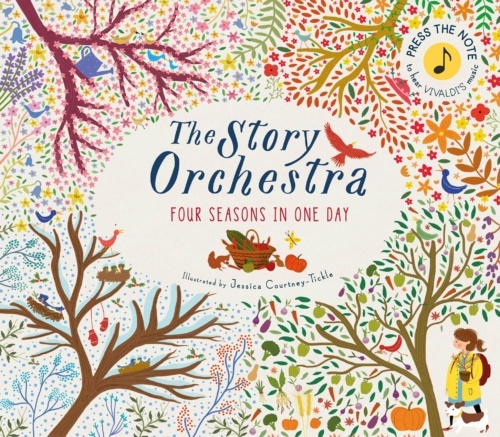 This interactive narration by author and illustrator Jessica Courtney-Tickle features live music from the original score of Vivaldi’s Four Seasons. You will also have the chance to work with Jess on a short craft activity and a musical project with one of the musicians from the ensemble, which will include the exciting recorder player Miriam Nerval. This fascinating event, as part of our Open Day, is aimed at bringing classical music to life and is suitable for children over 4 years old.